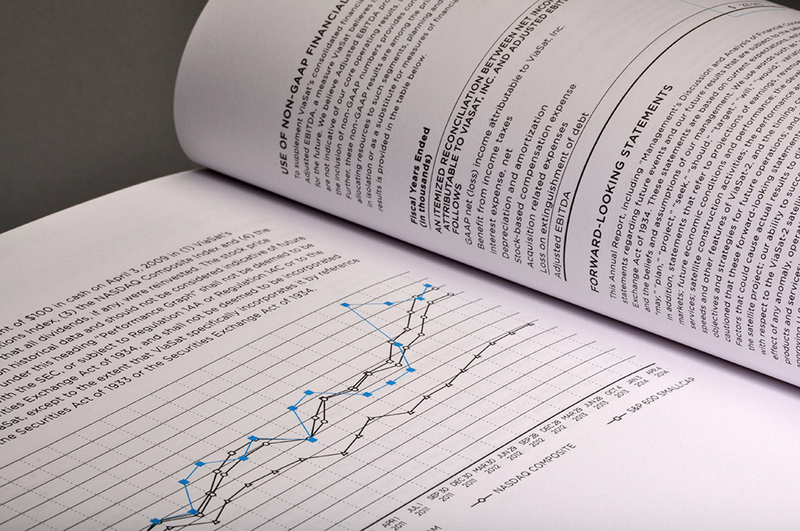 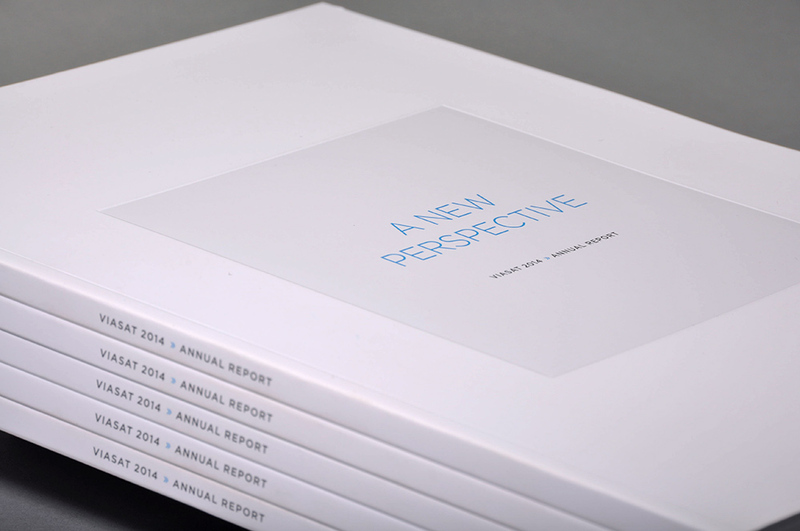 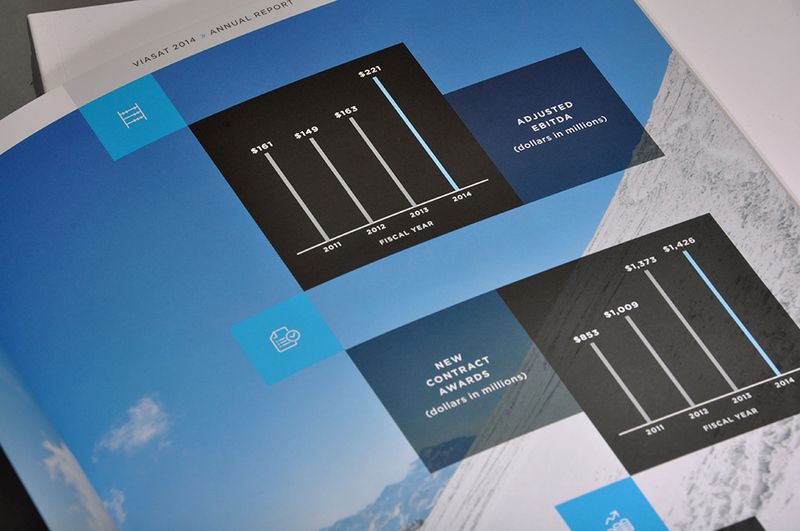 The 2014 ViaSat Annual Report quite literally offers a new perspective on traditional financial reports. 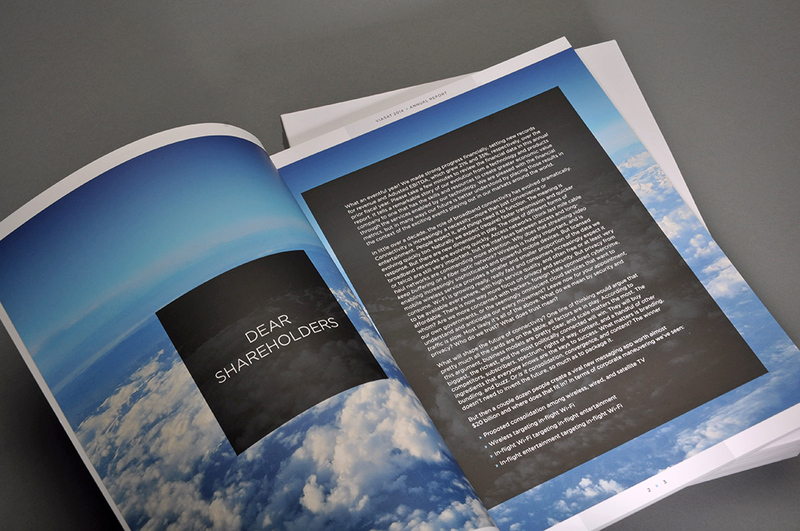 Prefaced with photography and unique textures, this piece gives shareholders more than just documentation of financial data, it demonstrates how the years results have contributed to world events. 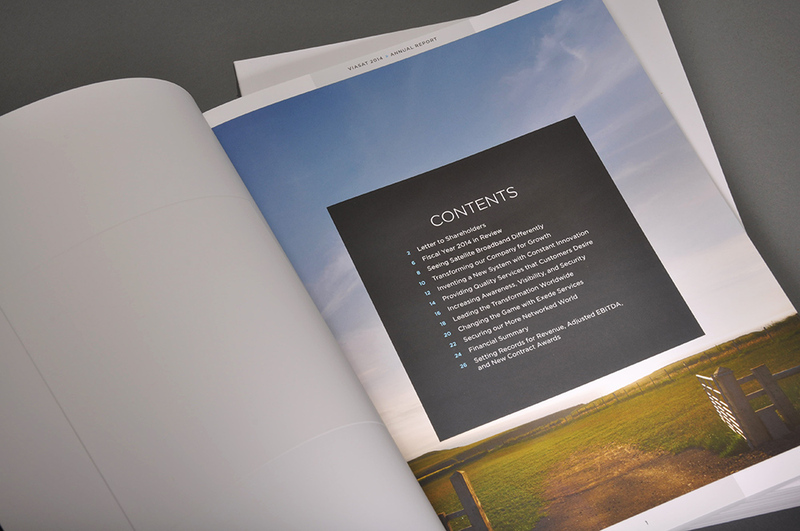 Soft touch aqueous coating on the cover with de-bossed clear foil stamp. 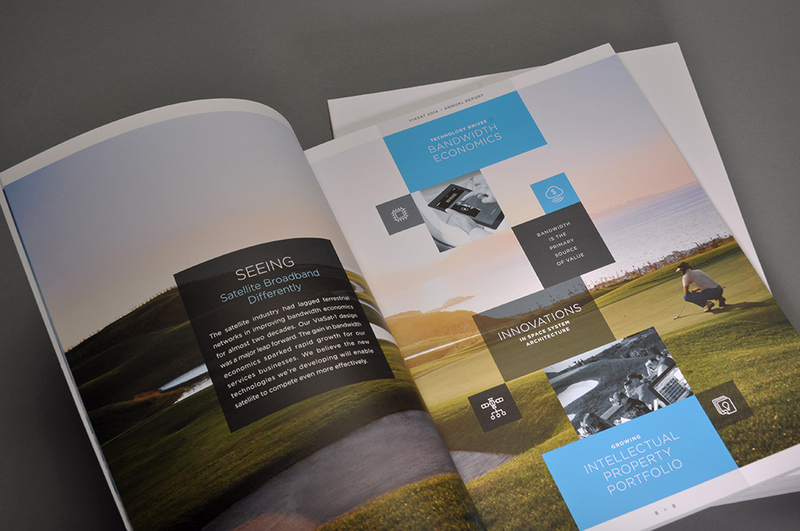 4c + full soft-touch aqueous coating throughout the editorial section.